Leaving a good impression is of the utmost importance for a successful business. When you go to a meeting with a new client you must be aware that they judge you based on your posture and the way you are dressed. Don’t worry about this because you are doing the same thing for them, right? First impression is crucial and your clothes and your demeanour are the first thing people can judge you on. 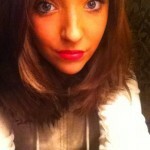 You need to find a way of making your appearance to work in your favour. Even though you maybe work in a company that has a more relaxed way of dressing, you should always come the meeting appropriately dressed. You always need to be aware than not only your appearance creates an impression on you, but on your whole company. Therefore you must be really careful when you dress for the meeting. You can’t go wrong if you dress professionally for a meeting, even though your client might surprise you with casual attire. Imagine how uncomfortable you would feel if you came to a meeting in jeans and a t-shirt and your client is sitting there in suit. Embarrassing, right? When dressing for a meeting pay attention on your shoes. Leather shoes are a timeless option. Just keep them the same tone, or darker than your trousers. You should always avoid loud suit colours or shirt patterns. You can show off your personality elsewhere. You want to look professional and classy and not like you are going to pursue a career as an Elvis impersonator, right? You should always dress to the same level as or a level above, your clients. For instance, if meeting high-level executives who favour suits, dress in a similar manner. 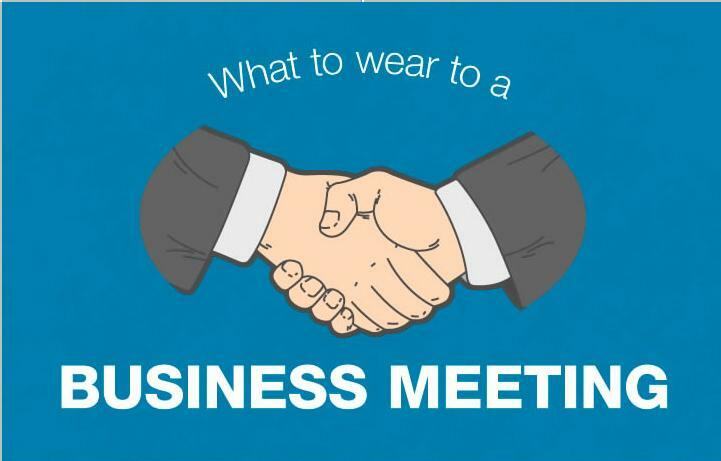 Get more amazing tips on dressing for a business meeting in this interesting infographic.